Celebrations, fun, joy, laughter, food and festivity all are celebrations. There is a first in everything. 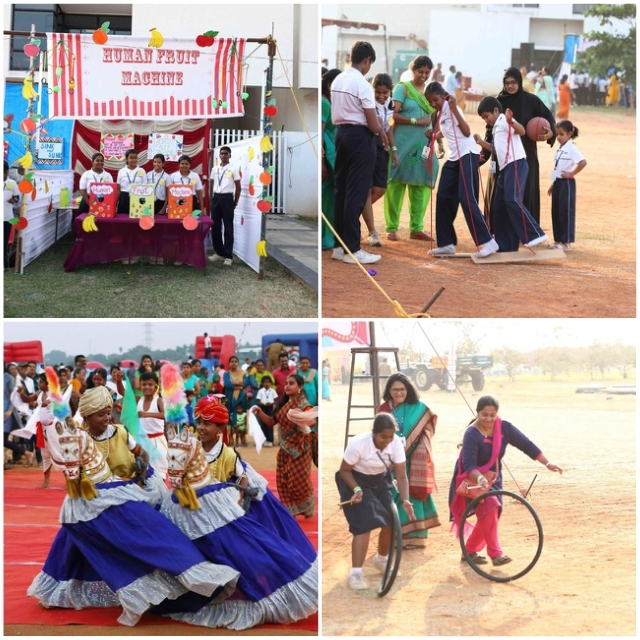 And this year CARE INTERNATIONAL SCHOOL had a beautiful bash, the CARE CARNIVAL. The Carnival had lot of attractions. It had games &rides, lucky draw, Photo booth, food & drinks, Bounce House, Face Painting, Trampoline, Dance & music, Kite making & MUCH MORE………. 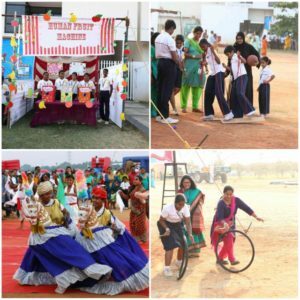 Our students and teachers prepared various fun game stalls including stalls for traditional games and inflatable bouncy house, bow & arrow etc. Parents were invited along with their friends to have fun & frolic. The evening was packed with stories, mob dance, juke box, tatoos, food and lucky draw. Parents and students spent a relaxed and fun filled evening at CARE. Warm pongal wishes and hoping & wishing the best in all spheres of life with lots of love from CARE Family.